Speeding violations in Las Vegas are moving violations that are technically considered misdemeanors. This means that it is very rare for a person to have to spend time behind bars for a relatively minor speeding violation, however it is a possibility. The fact that speeding offenses are misdemeanors leaves open the possibility of jail time and fines, which is one of the reasons why anyone who gets a speeding ticket in Las Vegas should work with a speeding ticket defense attorney like one on the team of the Fletcher Firm. The Fletcher Firm is a professional law firm that, in many cases, can help recipients of speeding tickets reduce or eliminate speeding ticket charges. Nevada speeding ticket fines will vary by county and are based on the county’s population. For example, speeding in a county with less than 100,000 people will result in fewer fines than speeding in a county with over 100,000 people. This is why anyone who is issued a speeding ticket in Las Vegas faces heavier fines – the city of Las Vegas is located in Clark County, which has almost 2 million residents. Like other states, Nevada uses a demerit points system to the safety habits of Nevada drivers. The more points that are accumulated, the closer the driver gets to having his or her license suspended or revoked. A suspension would result in a temporary removal of driving privileges, while a revocation would result in a permanent removal of driving privileges. A suspension is usually lifted after a certain amount of time, but a revocation will likely require the person to reapply and retest for a brand new driver’s license. Speeding 1 to 10 miles over the speed limit will result in 1 point, 11 to 20 miles over the limit will result in 2 points, 21 to 30 miles over the limit will result in 3 points, 31 to 40 miles over the limit will result in 4 points, and speeding 41 miles or more over the speed limit will result in 5 points. If a person gets too many points within a 12 month period, then a notice of suspension or revocation will be sent to the driver by the Nevada Department of Motor Vehicles. Remember, the reinstatement of your license after a suspension or revocation is not automatic, it is entirely up to the DMV. When you pay a speeding ticket and admit fault, you will have points added to your driving record and be one step closer to a suspended license. Without a license, you will be unable to get to work or school so it may impact your ability to make a living. To lower the points you have on your record, you may be able to take traffic school. Completing a DMV-approved traffic school will remove three points from your record, however you are only permitted to attend traffic school to lower your points once per year, so don’t rely on traffic school to wipe your record clean. You are also not allowed to use traffic school to lower the points on your record if you are attending the school as part of a plea bargain deal. Even though traffic school can successfully lower your points, the conviction will still remain on your driving record. This means that although you won’t have the points, your insurance companies may still increase your policy rate even after you have completed traffic school. If you have received a speeding ticket in the state of Nevada, let an experienced speeding ticket attorney assist you with the legal process of fighting the ticket. Don’t accept the consequences of a traffic ticket without a fight. 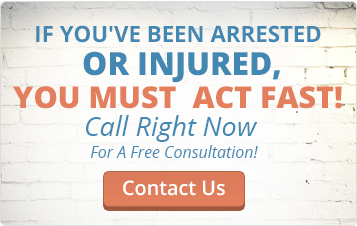 Speak to a Las Vegas speeding ticket attorney as soon as possible. Most people opt to pay the fine attached to a ticket rather than to fight the ticket in court. While this is perhaps a quick and easy fix, it is by no means the best solution. Paying a ticket acts as an admission to the cited offense. If a speeding ticket was issued as the result of an accident, then the ticket and fact that the offense was admitted could be used against the driver in civil litigation as proof of the driver’s negligence. Even if there was no accident, no injuries, and no property damage, it is still a good idea to talk to an attorney, because admitting to a cited offense can cause a driver’s insurance premiums to go up significantly. With that in mind, paying a fine just because it is “more convenient” may no longer seem like the best idea. When you choose to fight the ticket, you can hire an attorney to represent you during the trial. Never admit your guilt and accept higher insurance rates by paying the speeding ticket without a fight. Contact an experienced Las Vegas speeding ticket attorney to work with you and fight on your behalf as soon as possible. An experienced speeding ticket attorney can often get the charge reduced or entirely dismissed, with a reduction of the fine and no points or insurance rate increases. Working with a good speeding ticket attorney is the only practical way to defend yourself against the consequences of a guilty verdict. You’ve come to the right website. The Fletcher Firm can provide a free initial evaluation – an honest and knowledgeable evaluation – of your case. When we handle your speeding ticket, you can relax in the knowledge that an experienced Las Vegas speeding ticket attorney is working on your behalf. The Fletcher Firm also handles speeding tickets in Barstow, Victorville, San Bernadino, Inland Empire, San Diego, and surrounding areas. Call us for your consultation at (702) 410-8980 or (702) 333-6339; we’re available 24 hours a day. Or, you can complete the Free Case Evaluation form on this webpage, and we will respond promptly. Don’t hesitate to contact us right now. The attorneys at the Fletcher Firm are here to serve you and to get your speeding ticket resolved as quickly and painlessly as possible.